It’s so hard for me to believe this, but my wedding anniversary is in just a few weeks. Two years of wedded bliss and while I certainly don’t claim to have all the answers, one key thing I’ve learned kind of goes back to that “marriage and family” class I took in college. Back then, we laughed at our professor when he stood in front of us and told us that we’d need to continue to “date” even after we were married. 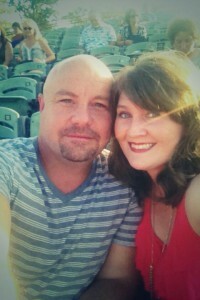 Dr. Cravens shook his head at our laughter and told us that yes, we needed to date our spouse. He went so far as to say that if we had children that we’d need to find a babysitter or leave them with grandparents—whatever it took to find that date time. And you know what? He was so right. On a recent date night. So I thought it would be fun to share some date ideas—ideas that were inspired by my book characters! In no particular order, here are 5 fictional dates that I’d like to go on with my husband…maybe you can find some inspiration there, too! In Love is a Battlefield, Kristy and Ace have a picnic at Shiloh National Military Park. It’s a great scene, and something easy to recreate! Pack your picnic basket, grab your significant other, and head to the nearest park! I adore the scene in Can’t Help Falling in Love when Andrew and Emily go ice skating and then have hot chocolate. It was fun and romantic—especially when the snow began falling and he kissed her for the first time. This one may be a little tougher to replicate—but a lot of places have seasonal outdoor skating rinks during Christmas…now if I can only convince Johnny to go with me! Cliff takes Ruby to her very first college football game (the Arkansas Razorbacks) in Sweet Southern Christmas. They have such a good time together, enjoying the fall day and watching the game. What a fun date! In A Wedding Date in Hot Springs, Jackson takes Violet on a picnic to a hot air balloon festival. He does all the cooking (chicken salad sandwiches, deviled eggs, and banana pudding) in an effort to get some brownie points with her. It’s interesting that I’ve written two picnic dates into books, but I can’t remember the last time I went on a picnic. I guess I know what our next date should be! How about you? What’s your favorite fictional date that you’d like to go on in real life? I would love to go on a fishing date with my husband. He loves to fish but I don’t. I would be happy to hold a pole and read to keep him happy. That sounds so fun! I love fairs and festivals! Love the ice skating date. I don’t think I’ll ever do it thought since my hubby isn’t much of an ice skater. I actually gave the characters in one of my books a date like that though, complete with hot chocolate, in A Holiday Proposal. I’ll take the hot air balloon ride. It’s funny–I’m not too much of a chicken about most things, but for some reason a hot air balloon ride scares me! I don’t think I’d ever get in one, although I think the views would be cool! Oh, some awesome fun date themes for sure. I live not terribly far from Shiloh. I live outside of Memphis so that is doable! Thanks for the fun suggestions! I’m gonna have to check out those books too! :) I worked at Shiloh for a while, so that is a place that’s near and dear to my heart. And I also lived in Memphis for a few years–so I have a couple of books set there and my characters visited lots of local attractions. So fun! I would enjoy going to a small town college football game with my hubby of 42 years. It is good to remember to “date” after married. These are some fun ideas, although if we were to go fishing, we’d have a hard time keeping the kids away! :) A family fishing date is always fun, too! I would like love to go back to the little cabin we built almost 32 years ago. I had to laugh, Annalisa, my current book has two picnics. :) They really enjoyed the location, so they went back again. I can’t remember the last time I’ve been on a picnic. Great post! The only date I will be going on is fictional. 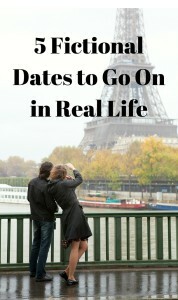 I will have to admit it is fun to write about dates when I am writing my fictional books. Annalisa, since I am single, I enjoy an “old married people” date of having dinner together at home and then cuddling on the couch while watching a ball game. What great “date” night ideas! My parents have dated throughout their marriage of 55 years. Our fondest memory occurred when my brother played master sleuth and figured out where they were staying. He called the hotel and left a message stating “you can run but you can’t hide”. He was a sophomore in high school. I would love to go to the beach. I enjoy watching the sunrises and sunsets and listening to the waves. Right now I don’t know who my companion would be since I am single and not dating. I watched a movie quite a while back entitled “50 First Dates” with Adam Sandler & Drew Barrymore. Not exactly a Christian movie, but I like the underlying theme. I don’t know if you have watched that or not, but he meets “the one” for him while living in Hawaii. At the first, he was with a different tourist girl every day, until he met HER, you know the girl or guy who you can’t get out of your thoughts, heart or mind?? Yea, that one :-) So they go on their first date, but the next day she has no idea who he is. Little does he know, that she has short-term memory loss. Well, as the story progresses, he does everything & plans all these first “dates” because he’s convinced he wants to be with her the rest of his life. He outdoes himself with each date, and finally convinces her family & friends that he’s serious and wants to be with only her. It’s a very sweet ending to the story!! And if I remember correctly, he makes up a scrapbook & writes down everything they do on each particular date so that she will always be reminded of who he is and what they have together. It really was fun to see how far he would go for her & all the different things he plans for each date! All that to say this, anything my husband or I plan for each other (big, small or in between) makes new memories for the future! Fictional date? Maybe go on a hot air balloon ride over some beautiful countryside or maybe learn to scuba dive while in the Caribbean (even though my husband doesn’t swim, lol!). Thanks for the post & Happy (almost) two years together!! And, I agree with your college professor…NEVER stop dating your spouse :-) It’s an important marriage lesson everyone should learn! I would love to go to a hot air balloon festival! How fun! A road trip through the Rocky Mountains, staying in a romantic log cabin & fishing in a mountain lake! I don’t need the bad guys chasing us down though! Also I’d like to go visit a castle in Colorado :) .